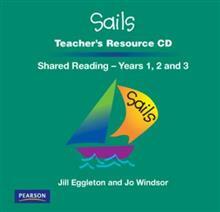 A Teacher's Resource Book or CD is provided for each level. They: outline targets that are specific to the Emergent, Early and Fluency stages of development in oral, written and visual language; provide a complete evaluation and assessment package. A Teacher's Resource Book or CD is provided for each level. They: outline targets that are specific to the Emergent, Early and Fluency stages of development in oral, written and visual language; provide a complete evaluation and assessment package with: observation sheets, records of reading behaviour, checks on oral, written and visual language, and phonological patterns; provide Blackline Masters for assisting in the assessment of the students' reading skills and understanding of: writing genres, phonological patterns and visual language.